Early modern women were subjected to multiple realms of authority in both the private and public spheres. It was the spring of 1596 and Jehanne Petit, a young widow, ventured to the local bailliage (bailiwick) court to request a greater share of her first husband’s wealth. 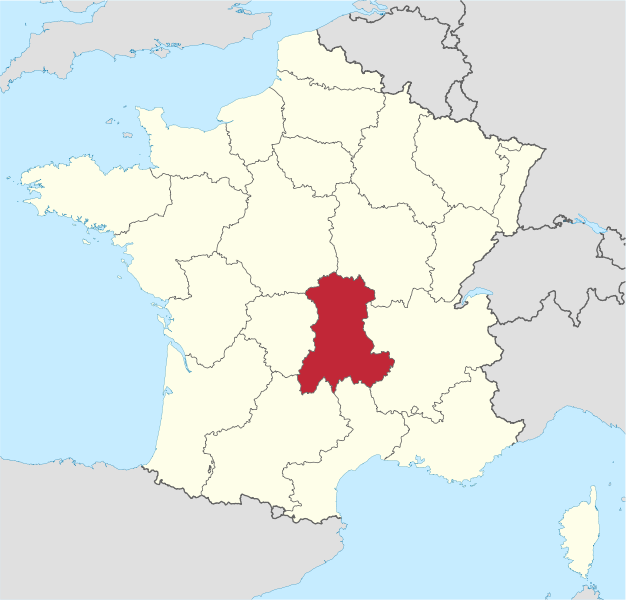 In the sleepy village of Châtillon-sur-Seine, the bailliage was one of several regional courts which regularly heard civil cases. The presiding judge was a local resident of the area, and probably someone whom Jehanne had encountered before through her husband’s business. Like a significant portion of adult women in sixteenth century France, Jehanne had been recently widowed, but was lucky enough to have married again. She and her new husband had a vested interest in her first marriage since they were planning on adding her share of this original marital wealth to their own resources. Even though customary law automatically granted Jehanne half of these funds, Jehanne was confident that the judge of the appellate court would grant her even more. After a lengthy deliberation, however, the court eventually upheld the previous verdict, and Jehanne was once again ordered to share her husband’s wealth equally with his heirs, including his children from a previous marriage. The case of Jehanne Petit illustrates some of the fundamental characteristics of litigation in the bailliage court in the final decades of the sixteenth century. While customary law supported a widow’s right to a significant share of her husband’s property, it also protected the right of her extended family to his estate. In the late sixteenth century, the Coutume of Burgundy was revised and these revisions served to highlight more kin-centric policies which reflected the importance of family posterity. By the end of the century, customary law also increasingly gave the power to the family, and primarily the male head of household, to adjudicate property relations themselves, wherever possible. The strategies associated with household management in the pre-industrial period were increasingly complex and the operation of family business relied on the increased mobilization of women, both married and unmarried, in the courtroom and other venues beyond the home. Customary law was particularly useful for women since it required that they be given substantial legal freedoms in order to preserve family interests. Furthermore, families during this period tended to prioritize the protection of financial assets over the maintenance of order based on prescribed gender roles. 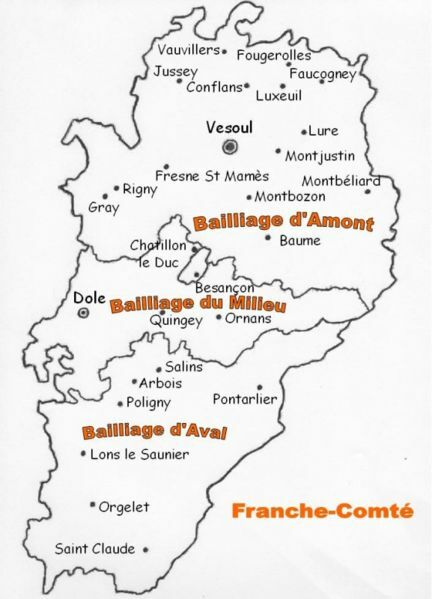 This study is based on a sample of 1,822 civil cases from the years 1581-1608 for three royal bailliages located in the jurisdiction of the Burgundy Coutume. Out of these cases, female litigants appear as either plaintiffs or defendants in 527, or approximately 29 percent. Between 1590 and 1608, 52 percent of female litigants were married women, while only 40 percent were widows. As these figures demonstrate, married women thus comprised the single largest group of female litigants in this period and actually outnumbered widows in the courtroom. The frequency with which married women were involved in civil litigation was a result of the liberties afforded to them by customary law. It also meant that family business could be properly taken care of in the case that the male head of household was absent. While customary law encouraged women to secure their husband’s permission before engaging in a business deal, they were permitted to do so independently, particularly in the case that their husband was ill or at war. As long as a business deal was made in sound judgment and was mutually beneficial for both husband and wife, the deal would stand indefinitely. Due in part to the reality that family estates were being fragmented by war, immigration and disease, the visibility of female litigants during this period was especially high. During times of civil strife, and especially if the male breadwinner was indisposed, dissipation of family wealth was a real concern. This was particularly true in the late sixteenth century, which brought significant socio-political conflict to the residents of Burgundy. During this period, Châtillon was frequently subject to demographic crises caused by disease and war. It endured the occupation of the Catholic League from 1589-1595, which negatively impacted its economy after a prosperous first half of the century. After mercenaries attacked in 1586, an outbreak of the plague hit the following year, ravaging the town’s already vulnerable population. The practice of female litigation was at odds with the traditional notion that women should remain in the domestic sphere. In the late sixteenth century, however, it worked to the family’s advantage, serving as auxiliary protection against outside encroachment of their resources. 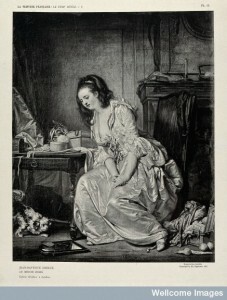 According to Beverley Lemire, the responsibilities of domestic women “included more than making soup from bones or mending worn socks.” Increased population growth ensured that household survival required even greater financial capital, and tasked women with the responsibility of securing loans to make ends meet. While economic expansion resulted in broader networks of social contacts and the potential for new business ventures and prospective creditors, female investors relied more heavily upon financial advice from notaries, family members and friends than men, whose public stations provided a broader perspective on the markets. Particularly for widowed and unmarried women, who typically did not have access to the same economic networks as men, family contacts were the key to discovering potential investments. Debt records from Châtillon clearly reflect the reality that family relations heavily dictated patterns of lending and borrowing during this period. Changes in family fortune had an obvious impact on the timing of loans. Short-term loans, for example, were more likely sought out when taxes were due, or when a family was in the process of starting up a new business. Changes in marital status often led to the involuntary accruement of debt, and the sixteenth-century Coutume required a husband and his wife to bear equal responsibility for any and all debt accrued by the marital community. Just as a widow was bequeathed with half of their shared assets on her husband’s passing, she was also obligated to pay half of all debts still owing by her spouse. For a woman who was saddled with many debts and was widowed, her best course of action was often to remarry quickly, so as to allay the financial burden brought on by widowhood. When the wealthy Charlotte, who was married to a Châtillon politician in 1595, found herself widowed by the end of that year, she quickly remarried to a viscount from a neighbouring village. Charlotte was a well-known debtor in the community, and her loans totalling over three hundred écus by the end of the century were spread over four different creditors. Charlotte’s quick remarriage ensured that she could continue to have access to the types of funds to which she was accustomed, and could also use her husband’s name as additional surety when securing a loan. The emphasis on family survival is especially reflected in the fact that a woman’s signature was seen as additional security that a loan would be repaid, if not by the husband himself, then by the woman and her heirs. Elise Dermineur has shown that it was common for women to sign their names to a loan in order to encourage a lender to advance more capital. The presence of married women in the courts was also a visible reminder of a family’s economic vitality and a way to ensure that the family was publicly recognized as an active agent in the economic community. Due to this heightened role, the number of female debtors, and particularly married women, increased in eastern France from the seventeenth century onwards. This visibility of women in debt litigation is a clear reflection of the implicit understanding that as managers of domestic affairs, married women would have to take on a role beyond the home. This is a characteristic of domestic life which has been emphasized by other early modern historians, particularly Clare Crowston, who suggests that a woman’s access to her husband’s credit was a fundamental basis of her social interactions. Allowing women to participate in business meant that the nuclear family could capitalize on broader social networks which could, and often did, lead to better opportunities for more financial capital. The association of women with markets frequently led to them being labelled as frivolous spenders, accused of driving their husbands into financial ruin by wasting too much money on unnecessary luxury items. As the luxury market during this period expanded, even basic necessities increasingly became more extravagant, and thus, more expensive. As a result, in many areas of Europe, the amount of credit made available to women increased dramatically. While royal edicts regulating sumptuary laws were issued in 1629 and again in 1633, sixteenth-century consumer culture was repeatedly criticized by contemporary writers, notably Montaigne, for being uninhibited by legal reforms. Nonetheless, while the sixteenth century has been identified as the beginning of the “commercial revolution” in Western Europe, it was not until the eighteenth century that the middle and lower classes began to participate in the new material culture. Court records from Châtillon confirm that loans taken out by women during the sixteenth century were still generally small, suggesting they were primarily consumption loans, used for the upkeep of the household. In the final year of the sixteenth century, for example, 52 percent of loans were under 10 écus. While the culture of consumption in early modern France was conspicuously gendered, the popularity of these loans in debt litigation during this period illustrate that women’s borrowing was dictated by the needs of the household, and not their individual desires. The participation of women in the maintenance of property is another reminder of their role in the preservation of family assets. During this period, tensions over property boundaries were exacerbated by the rapidly increasing population of the Châtillonais region, which necessitated the construction of new neighbourhoods, churches, and civic buildings in the late sixteenth century. Between 1376 and 1634, the population grew by an astounding 230 percent. Keeping property within family hands was a primary concern, and the responsibility of caretaker was extended to both male and female family members during this period. This is reflected in the court records, where different levels of property ownership perpetuated disputes over who was responsible for the maintenance of personal holdings. Of the property cases in the last decade of the sixteenth century, disputes over the maintenance of property constitute approximately 15 percent and married women constitute 70 percent of all female litigants in these cases. One outspoken widow, Jehanne le Clerc, was involved in three separate cases between 1594 and 1596 over the maintenance of her small home in the merchant district of Châtillon. In these cases, Jehanne’s ownership of her property was repeatedly questioned. In the first, a neighbour claimed that the wall running parallel to her property belonged to him. In the second, another neighbour asserted that the small yard in front of her home was actually his property. In these two cases, as well as a third in 1596, the boundaries of her property were amended slightly, but Jehanne never lost the right to any of the holdings which had been bequeathed to her after her husband’s death. First as a wife, and later as a widow, Jehanne exercised a characteristic determination to uphold her family property and secure its use for her own children. The visibility of women, and in particular, married daughters, in inheritance cases during this period is another reflection of the emphasis which customary law placed on family posterity. The integration of Roman legal traditions in France has been accused of giving women far less control over the family estate, including property belonging to the marital community. While the revisions of 1569 were intended to reinforce the power of the father over the household, the real result was to give the entire family, including siblings and extended family members, more tangible power over a woman’s level of access to the family estate. Rather than enforce a more linear succession, which typically preferred male heirs over women, the actual sentences reveal that horizontal succession, even by the turn of the century, continued to be practised in Burgundy with relative frequency. Property did not automatically transfer to one singular male heir but rather could move to several heirs as defined by legal or familial agreements. Such agreements were frequently complicated by the existence of verbal contracts, making the issue of succession a much more contingent, and less arbitrary, matter in the courts. This circumstance differed from other regions in France, particularly in regions where statutory law was in effect. In these regions, women were customarily disinherited from the succession whether or not they actually received a dowry. In southern France under the jurisdiction of Roman law, married women typically renounced their claim over their parents’ wealth. The dowry was supposed to comprise her share of her parents’ property, and unless it was discovered that it amounted to less than her proper share, all other assets went to a male heir. In statutory law regions where there was no community property, widows received their dowries back, and could also receive an additional set of funds, called an augment, if it was specified in her marriage contract. Customary law in Auvergne automatically excluded married daughters completely from the succession. In Anjou, customary law accepted that a dowry could be so small – a hat, for example – that some women were scarcely aware they had received a dowry at all. We have seen how customary law facilitated greater involvement of women in inheritance cases and litigation dealing with the maintenance of property and debt. The family-centric policies of the Coutume, however, worked both ways: individual women were now, more than ever, subject to the influence of extended family members in matters of personal and commercial property. Particularly in inheritance cases, which constituted almost 60 percent of all property cases in the final decade of the sixteenth century, even women who were properly recognized as heirs had to contend with relatives vying for a greater share of wealth. The legislated involvement of extended family members in personal financial affairs had the potential to be disadvantageous, especially if a woman’s relationship with her kin was already on shaky ground. Particularly for widows, maintaining a positive relationship with her extended family, including her in-laws, was important for continuing to hold power over family property. Although a widow was afforded a generous dower by sixteenth-century customary law, her access to this wealth was determined by extended family members, and in particular, her husband’s heirs. As a safeguard against misuse, customary law obligated all widows to have the heirs of her husband approve business transactions which involved funds from her dower. Customary law also allowed extended kin to play a significant role in deciding whether a widow was fit to be her children’s guardian. If the majority of the surviving grandparents opposed the appointment of the guardian, then a widow was automatically denied this coveted position. In her stead, another male relative was usually placed in control of any minor children, severely compromising a widow’s control of family wealth. The 1569 revisions to the Coutume facilitated even further involvement of extended kin in personal affairs, since the section on widows was amended heavily during this time. For good measure, the jurists added a section advising widows to exercise increased caution when exerting their rights over marital property, since it was so likely for heirs to contest the arrangement of wealth. The legal influence of family networks extended to married couples, in addition to widows. Members of the extended family had a vested interest in the management of marital wealth, since they stood to inherit money or property from a couple’s estate. This is reflected in the marriage section of the Coutume, which asks married couples to seek the consent of their closest living parents before entering into business contracts and treaties, or making donations. Almost half of all inheritance cases in the court records from this time include litigants from more than one generation, and many cases reflect a potent urgency to protect family assets against potential outsiders. In a case from 1592, one man was so adamant that he receive a greater share of his deceased son’s wealth that he attempted to legally adopt his son’s wife, who had received the largest share of the inheritance settlement. In spite of the extensive involvement of family members in their personal business, female litigants were still very successful in the bailliage courts of the late sixteenth century. They appeared as appellants and defendants in almost equal numbers during this period, and their appeals were successful in nearly half their attempts. In the cases sampled, no widow ever received less than half of her husband’s property, which was what she was legally entitled to by customary law. 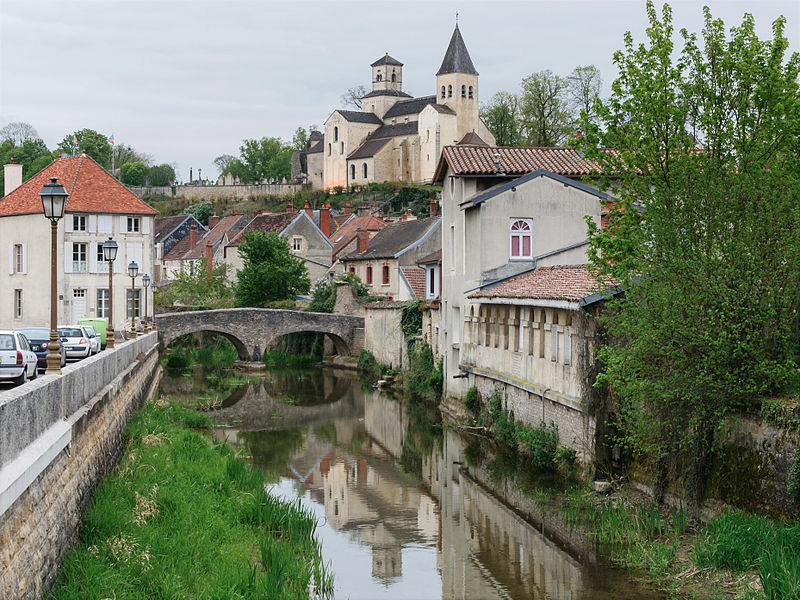 Furthermore, in a small village like Châtillon, where land holdings were cramped closely together between the village walls, it is likely that siblings could continue to have access to family property such as houses, even if they had been officially bequeathed to another sibling. A woman’s physical proximity to her family’s estate, as well as her relationship with her extended family members, probably significantly dictated her enjoyment of family wealth. It also stands to reason that unless the court intervened, many widows continued to possess a greater share of their marital property than to which they were entitled, and it took the intervention of the law to properly distribute a deceased husband’s property amongst his proper heirs. While extended family members frequently contested the distribution of assets after a man had passed on, the overall result of greater family involvement was higher visibility of female litigants. Married daughters were typically divested of their right to the succession in regions such as England and southern France, but in Burgundy they could retain a considerable share of the family estate, as long as their extended family members allowed it. This more lenient approach to family inheritance as well as the equitable division of the marital community demonstrates that married daughters continued to exercise substantial control over property, especially during times of civil strife in the Burgundy region. Early modern women were subjected to multiple realms of authority in both the private and public spheres, and while customary law dominated the legal landscape in Burgundy, the law had only a limited reach. For many years, scholars have asserted that the paternal authority of the household often went where the law could not. The male breadwinner was to serve as an arbiter in his own home, mimicking the role of a judge in the courtroom. Through revisions to customary law in the mid sixteenth century, that role was increasingly extended to brothers, sisters, aunts and uncles, who all played a part in shaping women’s relationships with the law. The revisions notably highlighted policies which encouraged greater family involvement in issues of debt and inheritance. These measures were employed particularly in the late sixteenth century, when the vast socio-political conflicts of the region brought a heightened sense of urgency to civil litigation. Relationships between neighbours, friends, and extended family members were also significant resources which women used to advance their personal interests in court. When Jehanne Petit, the widow featured in the introduction to this paper, visited the court in 1596, she must have been comforted by the presence of her current husband who, although not named as a litigant in the case, chose to accompany his wife to court nonetheless. Rather than inhibit their legal personas, friends and family members consistently supported the involvement of women in civil litigation. In many ways, therefore, the late sixteenth century courtroom in Burgundy was a site of cooperation between various kin, even when their individual interests were at odds. This paper utilizes records from the Archives Départementales de la Côte-d’Or, cited hereafter as ADCO. Records pertaining to criminal and civil law are found in Series B. The case of Jehanne Petit is located in B2 201-1 (1596). For more on the utilization of civil law in the preservation of family posterity, see Ralph Giesey, “Rules of Inheritance and Strategies of Mobility in Prerevolutionary France,” The American Historical Review 82 (1977): 271-89. Jean Bouhier, Les Coustumes du Duché de Bourgogne, avec les anciennes coustumes, tant générales, que locales, non encore imprimées(Dijon: Arnauld Jean-Baptiste Augé, 1742), 125. This type of autonomy was common among women who headed households in the absence of their husbands. For related reading on Spain, see Allyson Poska, Women and Authority in Early Modern Spain: The Peasants of Galicia (Oxford: Oxford University Press, 2005). Michel Belotte, Histoire de Châtillon-sur-Seine (Châtillon-sur-Seine: privately printed, 1997), 101. Beverley Lemire, Ruth Pearson, and Gail Campbell, eds., Women and Credit: Researching the Past, Refiguring the Future (Oxford: Berg, 2001), 5. Philip T. Hoffman, Gilles Postel-Vinay and Jean-Laurent Rosenthal, Priceless Markets: The Political Economy of Credit in Paris, 1660-1870 (Chicago: University of Chicago Press, 2000), 118. Jeremy Boulton, “‘It is Extreme Necessity that Makes Me do This’: Some ‘Survival Strategies’ of Pauper Households in London’s West End during the Early Eighteenth Century,” Household Strategies for Survival 1600-2000: Fission, Faction and Cooperation, eds. Laurence Fontaine and Jurgen Schlumbohm (Cambridge: Cambridge University Press, 2000), 49. See Elise Dermineur, “Female Peasants, Patriarchy and the Credit Market in Eighteenth-Century France,” Proceedings of the Western Society for French History 37 (2010): 61-84. Clare Crowston, “Family Affairs : Wives, Credit, Consumption, and the Law in Old Regime France,” in Suzanne Desan and Jeffrey Merrick, eds., Family, Gender, and Law in Early Modern France (University Park: Penn State University Press, 2009), 62-101. For further reading on women and debt, see Craig Muldrew, “Credit and the Courts: Debt Litigation in a Seventeenth-Century Urban Community,” The Economic History Review 46 (1993): 23-38, and Craig Muldrew, “‘A Mutual Assent of Her Mind?’ Women, Debt, Litigation and Contract in Early Modern England,” History Workshop Journal 55 (1995): 47-71. Both cases are located in B2 201-1 (1594), ADCO. 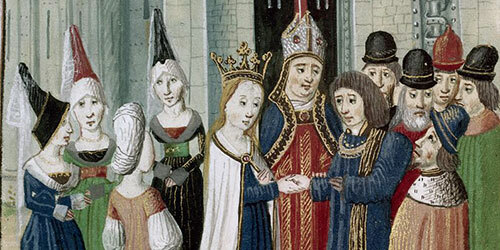 For further reading on the effect of Roman law on the institution of marriage, see Martha Howell, The Marriage Exchange: Property, Social Place and Gender in Cities of the Low Countries, 1300-1550 (Chicago: University of Chicago Press, 1998), 226. For further reading on women and property, see Zoe A. Schneider, “Women Before the Bench: Female Litigants in Early Modern Normandy,” French Historical Studies 23 (2000): 1-32, and Barbara Diefendorf, “Women and Property in Ancien Régime France: Theory and Practice in Dauphine and Paris,” in John Brewer and Susan Staves, eds., Early Modern Conceptions of Property (New York: Routledge, 1996). Natalie Zemon Davis, “Ghosts, Kin, and Progeny: Some Features of Life in Early Modern France,” Daedalus 106 (1977): 91. Originally published by the Journal of the Western Society for French History 39 (2011) under the terms of a Creative Commons Attribution-NonCommercial-NoDerivs 3.0 Unported license. This entry was posted in Uncategorized and tagged Burgundy, Early Modern, History, Law, Women. Bookmark the permalink.